Adequate lymph node harvest from colorectal cancer specimens has become a standard of care, influencing both staging and survival. To improve lymph node harvests at our hospital, a pathology assistant was trained to meticulously harvest lymph nodes from colorectal cancer specimens. An analysis of trends in lymph node harvests over time is presented. The number of harvested lymph nodes from 391 consecutive colorectal cancer pathology reports was retrospectively reviewed from a single community hospital over 8 years (1999–2006). This spanned 4 years prior to the training of the pathology assistant and 4 years after. From 1999–2002, the mean number of harvested lymph nodes varied from 12.2 to 14.4. The percentage of specimens achieving 12 lymph nodes was 50–67%. From 2003–2006, the mean number of harvested lymph nodes increased to 18.4–20.7, while the percentage of specimens achieving 12 lymph nodes was 83–87%. Both of these improvements achieved statistical significance with p values of <0.00001. Over time, lymph node harvests at our hospital dramatically improved. The training of a pathology assistant to harvest the lymph nodes from colorectal cancer specimens dramatically affected lymph node harvests and can be a crucial component of pathologic analysis of these specimens. Presented as a Poster at the SSAT/DDW, San Diego, CA, May 21 2008. Practice NCCN. Guidelines in Oncology. Colon Cancer. V2.2008. NCCN website. 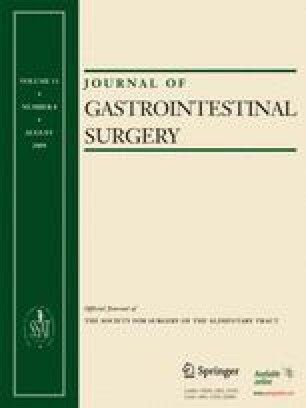 www.nccn.org/professionals/physician_gls/PDF/colon.pdf. P.17. Accessed August 5, 2008. National Quality Forum Endorsed Commission on Cancer Measures for Quality of Cancer Care for Breast and Colorectal Cancers. American College of Surgeons, Commission on Cancer Website. www.facs.org/cancer/qualitymeasures.html. Accessed August 9, 2008. Utah QuickFacts from the US Census Bureau. quickfacts.census.gov/qfd/states/49000.html. Accessed July 22, 2008. Decal website. www.decal-bone.com/dissectaid.html. Accessed August 28, 2008.